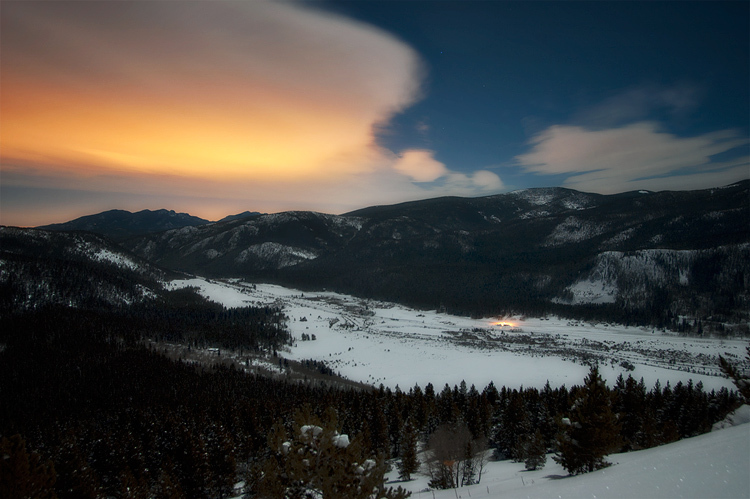 Taken on a full moon dog sledding run up Rollins Pass (east). The glow in the clouds is the light from Denver. WoW! That is a great set of colors in the sky, and so localized. And the little spot on the ground creates a lot of interest. Wonderful light! Capturing snowy landscapes is so difficult. This is well done1! Wonderful light and beautiful peaceful place. Wonderful landscape with a gorgeous colored sky.